These sugar free bliss balls are easy to make & great to have on hand for an afternoon snack or just when I need something on the sweet side. I’ve recently been eating a paleo diet & besides being amazed at how good I feel, I’ve been amazed yet again at what my Thermomix can do for me! I’ve been able to make so many things myself, rather than buying them, which has not only saved a lot of money, but taste better too. I’ve made these bliss balls using the left over pulp from making my own Almond Milk, so there’s no wastage. You can keep the pulp in the fridge for a day or two after making milk, if you don’t have time to make the balls straight away. 1) Add all ingredients to your TM bowl & chop 10-20 seconds speed 8. 2) Scrape down the sides of the bowl & combine a further 10-20 seconds speed 8 (using TM spatula through the hole in the lid if necessary). 4) Freeze the balls for at least 30 minutes before storing in the fridge. 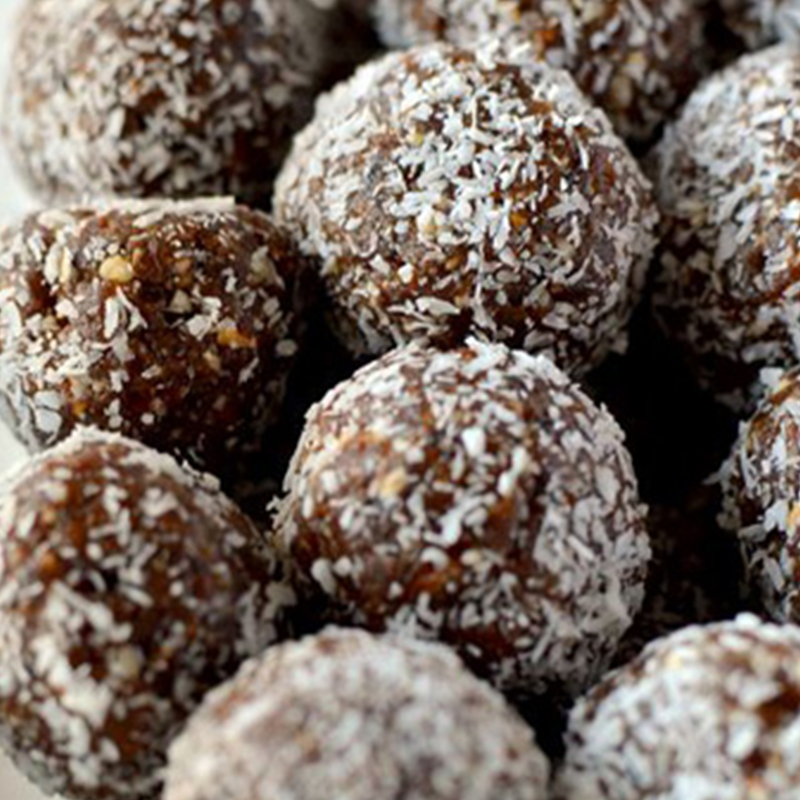 I store my protein balls in the freezer, as they don’t need to defrost long before eating. Once they’ve frozen on a tray or plate, you can store them in a zip lock bag & they won’t stick together. 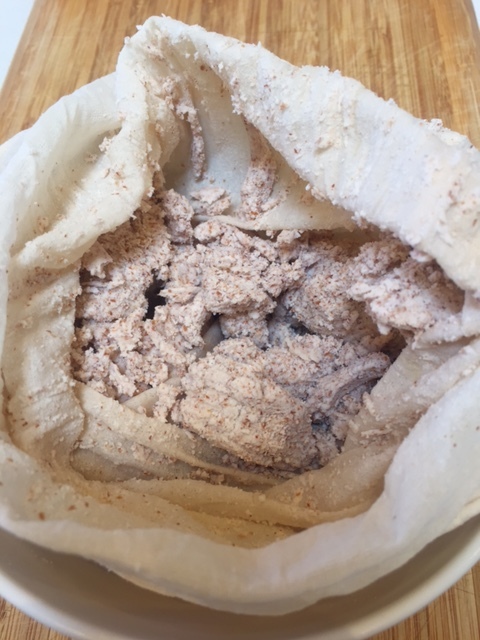 This is what the almond pulp looks like after it’s been strained through the nut milk bag…. 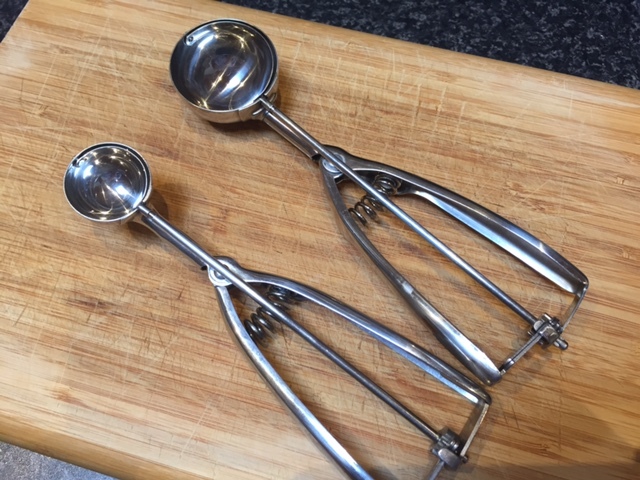 If you’re a perfectionist in the kitchen like me & prefer ever ball to be the same size, I use an old fashioned ice cream scoop to portion the mixture, before rolling into balls.